William Ivor Castle (Great Britain, 1877–1947), 29th Infantry Battalion advancing over “No man’s Land” through the German Barbed Wire and Heavy Fire during the Battle of Vimy Ridge, 1917, printed 2014, ink-jet print, 320 ◊ 610 cm. Library and Archives Canada, Ottawa (a001020). The star attraction of a new photography exhibition at the National Gallery of Canada is a fake. 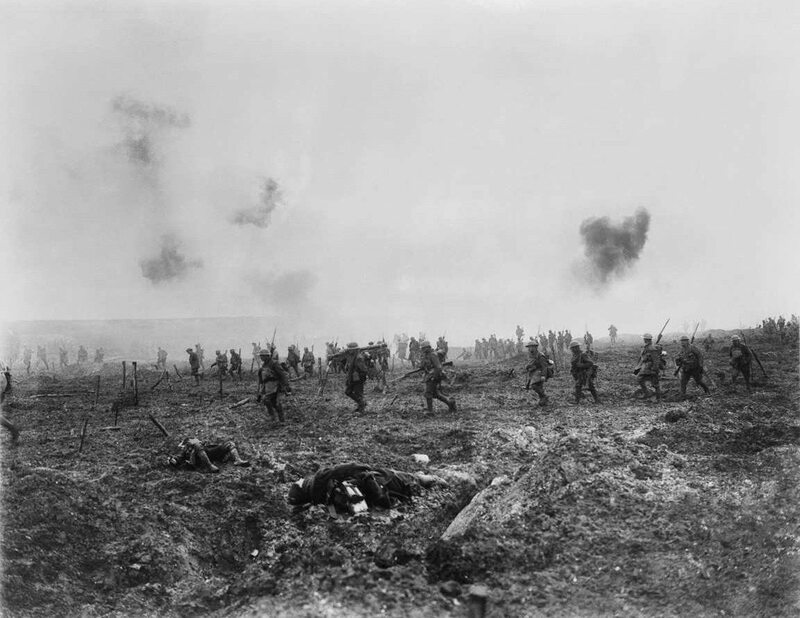 The photograph by William Ivor Castle shows Canadian soldiers storming Vimy Ridge in 1917. This is an event among the most important in our history. 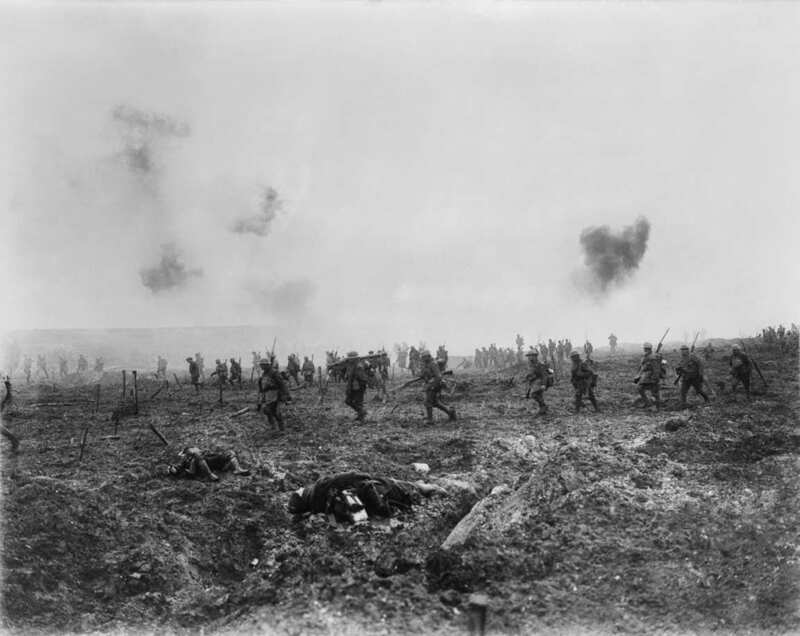 It was a battlefield victory in which Canada was suddenly perceived as having evolved from a dependent colony to a vigorous sovereign country. Castle’s panorama, at 11 feet by 20 feet, was billed as the largest photograph in the world when it was first exhibited in Grafton Galleries in London in 1917 and then sent on tour to Canada. Crowds lined up on the street to get a peek. Then, the fake photo went into storage for almost 100 years.